baby shadoww with doom's eye. this made me laugh. HD Wallpaper and background images in the Shadow The Hedgehog club tagged: shadow hedgehog shadow the hedgehog picture. Maria: Shadow! 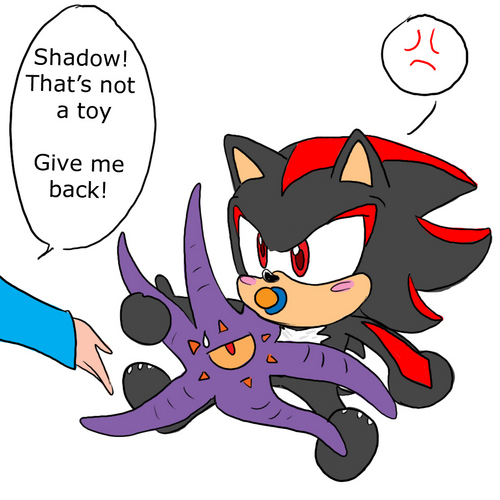 Give that back that is not a toy!!! why cant HE b my little brother?